Selling your home can be a stressful experience. The daunting task of packing, preparing the house itself for showings and photos, the emotional toll of the flurry of activity can add up to a big ball of anxiety. While most of the process is unavoidable, there are tricks of the trade to reduce stress and get to the closing table as quickly as possible. 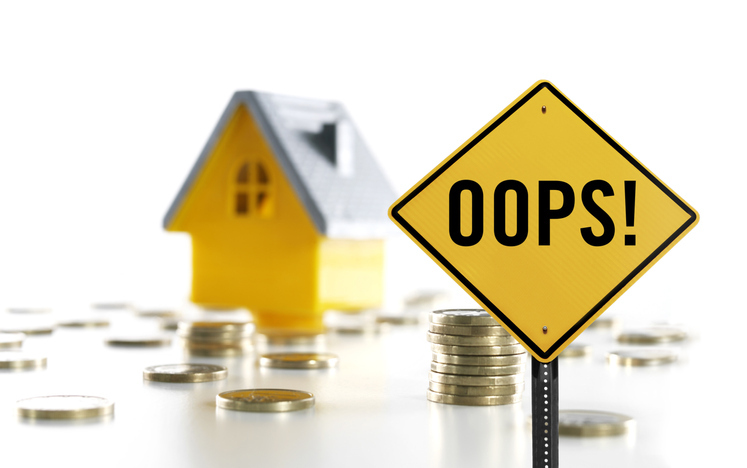 We recommend you avoid these 5 common mistakes when selling your home. Going the for sale by owner route. Yes, there are success stories for some folks who sell their property on their own. That’s the exception, not the rule, though. Ask anyone who deals with real estate contracts; they’ll tell you that for sale by owner deals are the most challenging and leave gaping holes in protections for both the buyer and seller. Do yourself a favor and let a licensed real estate agent handle the sale. They receive rigorous training on the correct way to fill out a contract and have a legal/ethical obligation to protect your best interest. An agent will also handle the marketing, showing schedule, and negotiation portion of the sale. Settling at the wrong price. Pricing is tricky. You don’t want to leave money on the table, but you don’t want to price yourself out of the market. The first 30 days after a house hits the market represent the “hot” period. You’ll see more activity during these few weeks than any other time. If a house is priced correctly, you should see multiple showings and hopefully an offer. An overpriced home will sit on the market until it “cools” with the anticipation of a price drop. Ignoring obvious repairs. Most buyers and financial institutions require an inspection prior to closing. You’ll often see offer-to-buy contracts with a contingency clause that allows a potential buyer to back out of a contract with no penalty if the house doesn’t pass inspection, or the list of repairs is excessive. Do yourself a favor and fix anything that might come up in an inspection. Water damage, holes in walls, cracked windows, and defunct appliances will all catch the eye of an inspector. You’re better off being proactive or allowing for repair costs in the price. Being home during showings. Having an owner at home is such an uncomfortable situation for potential buyers. This is especially true if neither party is expecting company during the showing. A startled prospective buyer is not the goal here. Leaving personal belongings all over the house. You’re inviting buyers to look at your stuff, not the house. Please give them a blank slate so they can imagine how their furniture will fit, the decor will look, etc. Photos, nic-nacks, books, wall art, even too much furniture can distract viewers from the house. Think of it this way, you’re going to have to pack everything on shelves and the walls, you might as well start today. Is it time to start prepping your house for sale? Contact us at 361-449-2051 or desertflowerrealty(at)desertflowerrealty(dotted)com.